The first book in a witty, suspenseful new trilogy about a brilliant new crime-solving duo: the teen descendants of Sherlock Holmes and John Watson. This clever page-turner will appeal to fans of Maureen Johnson and Ally Carter. Jamie Watson has always been intrigued by Charlotte Holmes; after all, their great-great-great-grandfathers are one of the most infamous pairs in history. 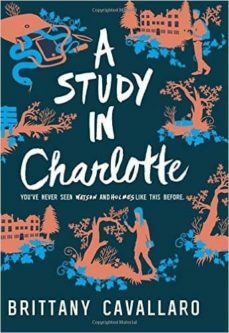 But the Holmes family has always been odd, and Charlotte is no exception. Shes inherited Sherlocks volatility and some of his vicesand when Jamie and Charlotte end up at the same Connecticut boarding school, Charlotte makes it clear shes not looking for friends. But when a student they both have a history with dies under suspicious circumstances, ripped straight from the most terrifying of the Sherlock Holmes stories, Jamie can no longer afford to keep his distance. Danger is mounting and nowhere is safeand the only people they can trust are each other.